Apply for Assistant Headteacher posts. Before coming to the island I was a head of year for 5 years and a successful one at that! Had I not decided to have children and work part time my natural stop at that time would have been Asst Headteacher but I never went there and it has taken me nearly 8yrs to get back to the stage where I feel I am in a position to apply again. I spent a lot of time crafting my letter and despite the fact that I did not reach the interview stage for any of the posts I found the whole process to be a fantastic one. It makes you realise what your uniques selling points are and where the gaps are in your knowledge. I have continued to develop my use of them in the classroom this year and have give some but frankly not enough INSET on their use. Hopefully this will change. I have tried to blog as often as possible about my iPad use in the classroom firstly, as. Record for myself and secondly to assist others. We finally did it! Together with Helen Almond I organised the very 1st IOM teachmeet. It was a great evening of CPD so much so that we organised our second TeachMeet in the summer and our next is just around the corner in February. I was delighted to be asked by the director for education to address the primary headteachers meeting to discuss the venture and to try and encourage more of our primary colleagues to attend. IOM TeachMeets have bee one of the highlights of the year for me! Sharing good practice in order to improve teaching and learning is something I am really passionate about. Our Headteacher at school retired at the end of the autumn term. 2015 is going to be a year of new beginnings I think. Helen Almond my teachmeet partner in crime asked me in August if I would do 2 days supply at her school to cover for a colleague who was sadly on long term sick leave. It was only for a half term so I agreed. I felt privileged to be able to see how another MFL dept worked and my colleagues were fabulous. The team was 2 full time linguists and myself on 2 days and another non linguist working for another 3 days. At the beginning of December tragedy struck and effectively left the dept with 1 full time member of staff who started working at the school in September and who has been teaching for only 5 years and myself on 2 days as the only linguists. Fortunately my colleague is amazing both in and out of the classroom and after a few tears we made a plan the aim of which was to protect our exam classes and top sets. We have had to be very creative and we are going to use iPads to assist us as all classes cannot always be covered by a linguist (finding an MFL teacher on supply on the island is like looking for hen’s teeth). Thank god for Google Drive as this allows us to plan the lessons for supply staff together despite the fact that for most of the week we aren’t In the same school! Time will tell but hopefully we have managed to put a workable plan into place to support our students through their exams. I’d like to maintain my level of confidence in my own teaching abilities. How to do this? I’d like to think it ‘s by trying new things and seeing if they work and the reflecting upon the successes or failures it’s only really in this way that you can improve. I’d like to see our own IOM teachmeet grow, I’d love for our colleagues in all education sectors across the island to be buzzing about what they learnt or who they met at Teachmeet. I would also like to try and attend more teachmeet/ conference events next year. This isn’t easy when you live in the middle of the Irish Sea but it’s not impossible. This year I would like to provide yet more training for my colleagues in my own school and in other schools on the use of iPads in the classroom. I’d also like to push myself to present at events too. I will be presenting at #ililc5 and I’m really looking forward to it. Complete the Devizes to Westminster canoe marathon, paddle in the Isles of Scilly archipelago this summer, circumnavigate Anglesey. I’d like to apply to an Apple Distinguished Educator- there I’ve said it! These guys are pretty damn important to me. I know I’m grumpy with my kids at times especially when I have used up all my patience on other people’s children at school. I must remind myself of this at times. The Hubs is my best friend and as with all friendships you have to work at it and make time for each other. SAMR Is It All It’s Cracked Up To Be? 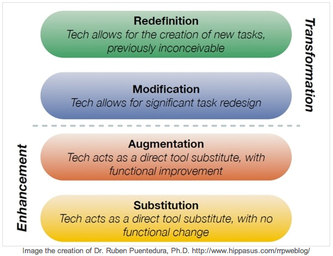 The SAMR model was created by Dr Ruben Puentedura and provides a model which describes technological integration in the classroom. When you begin to use tech in the classroom you often come across this model as a method of helping you to effectively navigate the use of tech. The model itself is nice and simple and it’s aim is to guide the user from a point at where technology simply substitutes a classroom activity eg word processing to a point where tasks are redefined by technology ie. students collaborate to make a film on a subject using multiple apps or elements of their device. I was introduced to this model a couple of years ago and it really resonated with me, I could see that getting to a point of redefinition was key to the use of technology in the classroom. I liked the idea of using multiple apps to create the previously inconceivable. To my mind, it would help to stretch my students enabling them to work confidently and creatively with little teacher interference. I am now 2 years into using iPads in the classroom. I don’t have one per student and I cannot use them every lesson as they are for use by the whole department however I am using them as much as possible and this constant use has lead me to question the SAMR model. Whatever you read about the use of technology in the classroom you will always come across the phrase “the right tool for the job”. As a subject specialist you will know your students well and you will know where you are aiming to take them. Thus you as the professional select the correct classroom tools to get them there whether this be a text book, a mini whiteboard task or a comprehension exercise as the professional you choose because you know what’s best for your students. The same is true when you use technology in the classroom. You plan your lessons and you know when, how and if you are going to use technology in the classroom. Sometimes it will be wholly appropriate to use your tablets as mini whiteboards ( substitution) or to use a formative assessment tool to check knowledge (augmentation) In this senario you as teacher are selecting the appropriate tool for the job. The pedagogy is leading the technology. My issue with the SMAR model stems from this point; all too often the SAMR model is presented as THE model to follow, students should be working at the redefinition stage and for me, and I fell into this trap too, teachers then force their work to the redefinition stage – they constantly try to work at that level. This is when we see technology leading the pedagogy and technology can then have a detrimental affect on teaching and learning. Technology, from my point of view, works at it’s best in the classroom when it is lead by sound pedagogical thinking. You don’t plan your lessons by thinking at the very outset I am definitely going to use this text book no, you of course think about the aims of the lesson and what tools you will use to best achieve your aims. Using technology is no different sometimes it is perfectly acceptable to use technology at the substitution and augmentation level and sometimes you will be working at the redefinition level but definitely not always. @s_armitage highlights this beautifully in his blog post 4 hours of learning. I have also blogged in a similar vein. I like @domnorrish ‘s idea from this blog post that technology should become invisible in the classroom, nobody should talk about it anymore and unfortunately for me the SAMR model can create the very opposite effect. So if not SAMR then what? 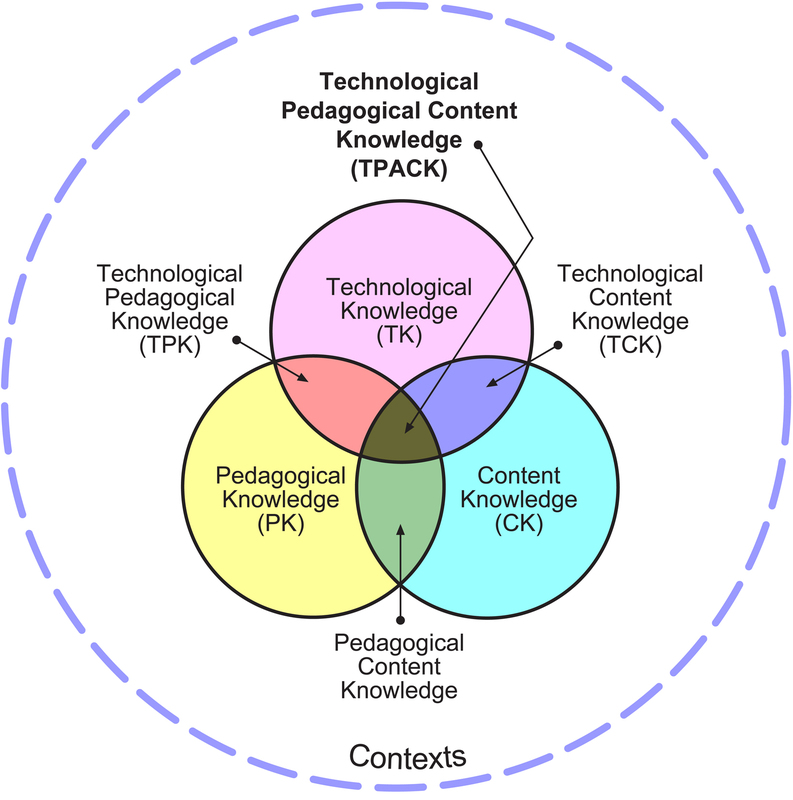 I would suggest the TPACK model (described perfectly in this video by Candace M) brings together pedagogical knowledge, technological knowledge and content knowledge. It is not hierarchical like the SAMR model but a model that helps us to understand how to integrate technology into our teaching buy understanding each of the different components that make up the model. In both cases models are a useful starting point but remember this, you are the teacher in the classroom it is you who decides what to use and when. 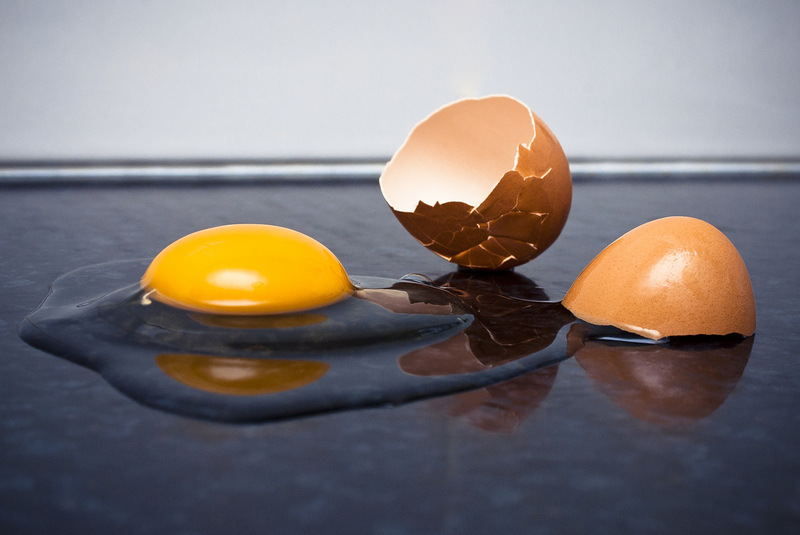 Technology is a powerful tool in the hands of a good classroom practitioner but remember you can’t make an omelette (redefinition) without first cracking eggs (substitution)!